It’s that time of year. Graduation. 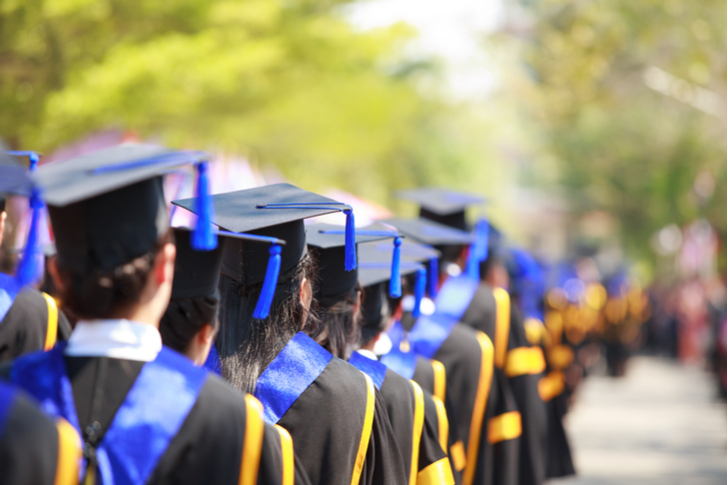 If you have a student who has just graduated college or is about to put high school behind them and move on to higher education or the job market, it never hurts to acknowledge their success. Grad gifts are a tradition, a reward for students from their parents and families. After years of hard work and sticking to the books, it’s time to celebrate their achievement. But what to get someone for their graduation 2018 celebration? Engraved pens have given way to technology –which can be a little more confusing when it comes to shopping. If you’re stumped, we’ve put together a list of 10 great high-tech grad gifts. Smart speakers are all the rage right now, but they have limitations. Most have mediocre sound at best, they lack portability and they definitely won’t survive being thrown in a pool. 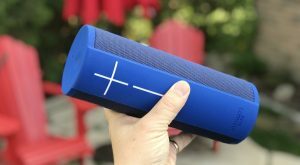 If your grad loves music and has been hinting about a smart speaker, the Ultimate Ears Megablast is a perfect choice. At $299, it costs nearly as much as Apple Inc.’s (NASDAQ:AAPL) HomePod, but instead of Siri, it has Alexa onboard. And in addition to Wi-Fi, it supports Bluetooth so they aren’t tied to a network. And this smart speaker doesn’t just sound good, it offers 16 hours of battery life and it’s waterproof. Perfect for summer parties, the beach and camping. Are they already hooked on the whole smart speaker thing, but would like Alexa on-the-go? 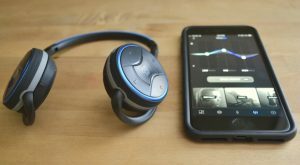 The Pro Voice wireless sports headphones from 66 Audio were the first out the gate with Alexa onboard. So your graduate gets a very cool set of minimalist headphones that look as good as they sound, with extended Bluetooth range and 40+ hour battery life, plus the ability to summon Alexa at will without even having to push a button. What to do with a whole summer ahead? Or a job, where suddenly the expectation is that you be in an office all day — seriously cutting into gaming time? 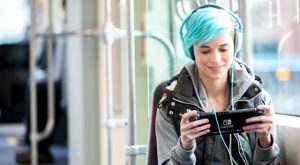 For a video game-loving student or recent grad just entering the workforce, the Switch from Nintendo Ltd/ADR (OTCMKTS:NTDOY) is a surefire hit as a graduation gift. Nintendo has been selling a boatload of these hybrid consoles, with good reason. The Nintendo Switch has a growing library of great games, it can be connected to a big screen TV and played like a traditional console. Or, it can be slipped into a backpack and used as a mobile game console, making it perfect for getting a gaming fix during a commute or on coffee breaks. Many graduates spend time exploring the world after they leave school. If your grad is going to be backpacking across Europe or doing a tour of the U.S. National Parks, they are going to want to be taking photos. Not just selfies (those of course), but also capturing a record of their big trip. If they have an iPhone 7 or iPhone 8 — or the Plus versions of these phones — Olloclip has a compelling graduation 2018 gift idea. The Olloclip Filmer’s Kit starts with a high quality, compact carrying case from Incase. 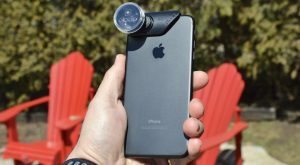 Inside, are Olloclip’s best-selling lens sets for the iPhone, including telephoto and wide angle options, along with handy accessories such as a video grip. Lenses work on both the primary camera, and the FaceTime selfie cam. There’s everything they need to give their iPhone DSLR-like capabilities, for memorable photos and video –without having to lug a DSLR around. A TV might seem a little extravagant as far as grad gifts go, but play it smart and you can impress for a lot less than you think. 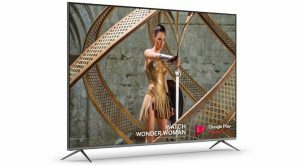 Vizio’s P-Series TVs offer 4K resolution, Dolby Vision HDR, built-in Chromecast support, Alexa or Google Assistant voice control and a pretty amazing picture. Despite the premium specs, they start at just $799 for a 55-inch model. And with the 2018s newly arrived, you can likely snag a great deal on last year’s models. Vinyl was big decades ago. And it’s big now. If your graduate doesn’t own a turntable, chances are they’d like to have one so they can get in on the record collecting craze. The problem with turntables these days is they are often either ultra cheap, or really expensive. 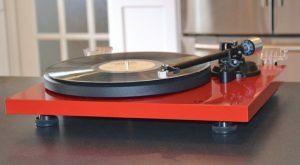 The new Crosley C6 is a nice in-between option. It’s higher quality than those record player-in-a-suitcase versions you see in the mall. But it’s still affordable ($159), easy to set up and use, and they can plug right into a portable speaker using its integrated pre-amp. It looks audiophile, but without all the fussing, calibration or high price tag. Wireless earbuds remain popular high tech gifts. Everyone likes listening to music, and the buds that come with a smartphone are usually a last resort choice. But while true wireless buds –like Apple’s AirPods– are getting all the buzz, they have disadvantages. They’re easy to drop and lose, have short battery life, sometimes get out of sync with each other, and sound isn’t always great. 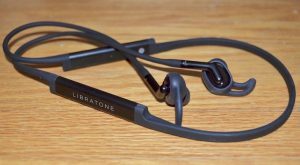 If you have a graduate who could use an earbud upgrade, I’d suggest checking out Libratone’s Track+ Bluetooth earphones. There is a cable connecting the buds, but that means less likelihood of losing one, and battery life is double most true wireless buds. They also sound fantastic, fit comfortably, feature 4-level active noise cancellation and sport a minimalist Scandinavian style. Want to learn more? You can read my review of these awesome buds here. 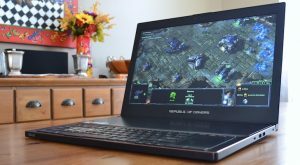 Does your grad need a new laptop, maybe one that can play games? Or one that looks sleek and stylish? That used to be a choice — powerful boat anchor, or slim lightweight that bogs down trying to edit a video. The ROG Zephyrus from ASUS manages what used to be unthinkable: video game-level power in a slim form factor. Thanks to Nvidia Corporation’s (NASDAQ:NVDA) new Max-Q technology, this is a laptop that’s less than 3/4-inch at its thickest and weighs under 5 pounds. Despite the slim and stylish case, it packs an Nvidia GeForce 1080 graphics card capable of driving a VR headset over 90 FPS and playing the most demanding games with all the settings cranked up. 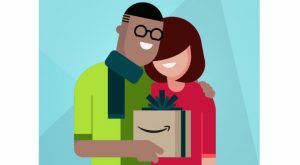 Amazon.com, Inc. (NASDAQ:AMZN ) raised its annual Prime membership fee to $119 earlier this year, but it’s still a great deal when it comes to grad gifts. Give your graduate a Prime membership and they don’t just get free two-day shipping on orders. They also get a ton of perks, including Prime Video streaming, Prime Music (with a discount on Amazon Music Unlimited) and discounts on new release video games. If they’re moving into their own place, the new discount on sale items at Whole Foods will come in handy. Here’s an idea for graduation 2018 that straddles the line between old-school and high-tech: the Keyport Pivot. This is an extremely handy little device that organizes all of your keys, mounting them in an aluminum grip so they don’t jangle but are always easily accessible. That’s just one selling point. 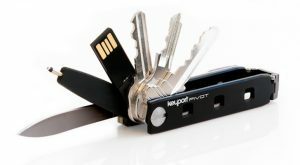 The Keyport Pivot also incorporates the best aspects of a Swiss Army Knife-style multitool, but lets you choose what to include. Add optional modules to enhance functionality, including high-tech options like an LED flashlight, a flash drive –even a Bluetooth tracker. And the Pivot is easy to customize as needed, so modules can be quickly added or swapped out. It would make a great grad gift and is something that they’ll find useful for years. Article printed from InvestorPlace Media, https://investorplace.com/2018/05/10-high-tech-gifts-for-graduation-2018/.